This national park is the 6th largest park in Tanzania after, Serengeti national park, Ruaha, Mikumi, Katavi as well as Mkomazi national park. It’s located in manyara region and its name originates from Tarangire River. The park also lies in the south east of Lake Manyara and it covers an area of 2850 sq kms with diverse land scapes covered with baobabo trees, high grasses and the dense bush. It’s mainly famous for elephants, tree climbing lions, zebras, wildebeests, waterbucks, giraffes, olive baboons, 550 bird species including the yellow collared love birds. The national park is also famous for the termite mounds which are dotted all over the land scape. The park is also 240km and 4 hour drive from the city centre. Have breakfast and after met with your safari guide who will give you a short briefing about the tour. After that, you will travel east to Tarangire national park, this national park runs along the line of Tarangire River and it’s mainly made up of low lying hills on the Great Rift Valley floor. Its natural vegetation consists of acacia woodland, huge swamp areas as well as giant African baobab trees. The river and the swamp acts as a magnet for wildlife species. It contains large herds of elephants which you will enjoy on both the morning game drive as well as the afternoon game drive. You will also enjoy a picnic lunch within the park and later transfer back to the city for either your flight or to be dropped at the hotel for your overnight. This one day safari to Arusha national park includes a choice between three places, these include; Arusha, lake manyara as well as Tarangire. Visitors are able to get a brief African wildlife experience in at least one of Tanzania’s national parks. A 1 day tour to nay of the three Tanzanian national parks can be arranged and it starts in Arusha town. 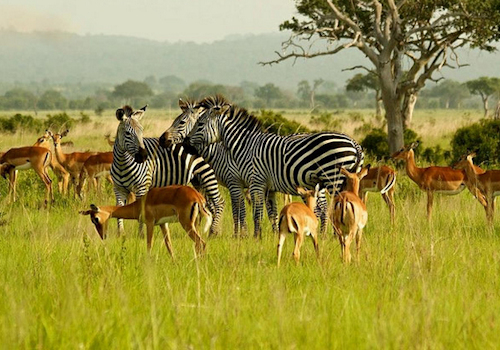 Arusha national park mainly covers mount meru with a total elevation of 4566m in eastern Tanzania. This national park is small but filled with spectacular land scapes, it’s located just a few kilometres north east of Arusha, 50 km from Moshi town and 35 km from Kilimanjaro. The park is rich in lots wildlife species and these include; cape buffalos, giraffes, zebras, black and white colobus, warthogs, blue monkeys, flamingos, lions, elephants, leopards, as well as bird species including; the Narina trogon and the bar tailed trogon. This park also has lots of forest tree species. Have your breakfast at your hotel or Lodge and after, our professional guide will give you a short briefing about your whole trip and after you start your journey towards the east to Arusha national park. This is a small but very beautiful national park and it’s close to Arusha town which is just 30km as well as Kilimanjaro international airport. This has made it ideal for a 1 day tour in Tanzania. This national park is one of the most beautiful park filled with lots of wildlife and it’s a topographic park in Tanzania. This national park has also got three significant features which include; mount Meru which is the second highest peak at 4566m, the coloured Momela lakes as well as the 3km wide Ngurdoto crater that was formed about 15 million years ago. You will enjoy lunch at Momela wildlife lodge and enjoy a morning game drive as well as an afternoon game drive, you will as well visit both the Ngurdoto crater as well as Momelo lakes. On your game drives, enjoy many wildlife species including the buffalos, elephants, lions, hippos, warthogs, antelopes, zebras, leopards, blue monkeys and many more. Later in the evening, you will be transferred back to Arusha town for an overnight. The park is located in both Arusha region and also Manyara region in . It’s just 126km south west of Arusha and can also be reached with in 1 hour and half. It consists of 330km2 of arid land, forests and a soda like lake which is 200km2. The national park is mostly known for flamingos, 400 bird species, leopards, Masai lions, elephants, dik dik, blue monkeys, gazelles, Masai giraffes, cheetahs, impalas, as well as hippos. The park is also close to Tarangire national park as well as manyara Airport which is located at the top of the rift wall. Immediately after your breakfast, the company guide will meet you and brief you about the whole tour. After, travel west to the Great Rift Valley as well as Lake Manyara national park. Travel through the agricultural as well as fresh produce market town of Mto wa Mbu that is situated next to the entrance of the park. This town is a souvenir paradise which harbour thousands of souvenir salesmen. The park is one of Tanzania’s dramatically located wildlife areas which consist of massive but shallow soda lake at the foot of the Great Rift Valley escarpments. The park also attracts wide variety of animals which include; African elephants, tree climbing lions, flamingos, as well as birds. You will enjoy a picnic lunch inside the park and then have two amazing game drives. 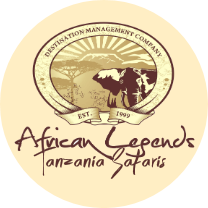 After the afternoon game drive, we shall depart for Arusha from Lake Manyara were the tour will end from. The guide will drop you to hotel for an overnight stay.